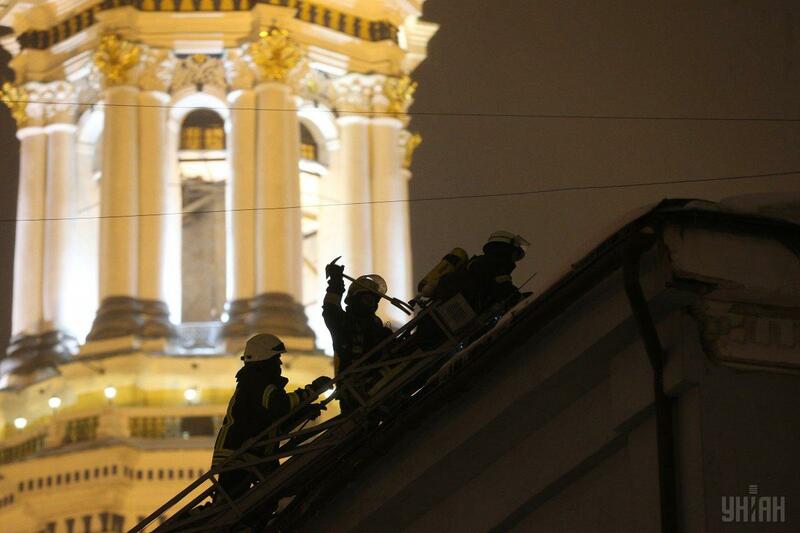 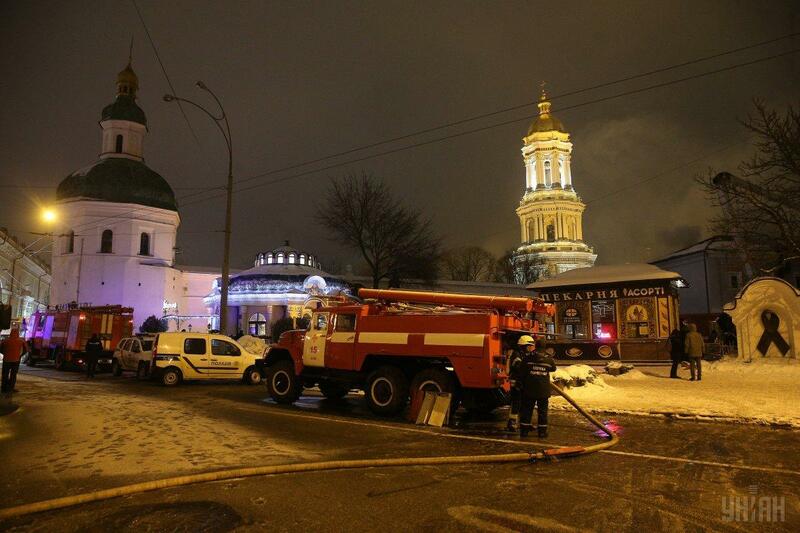 At 20:07 Kyiv time, the fire was put out. 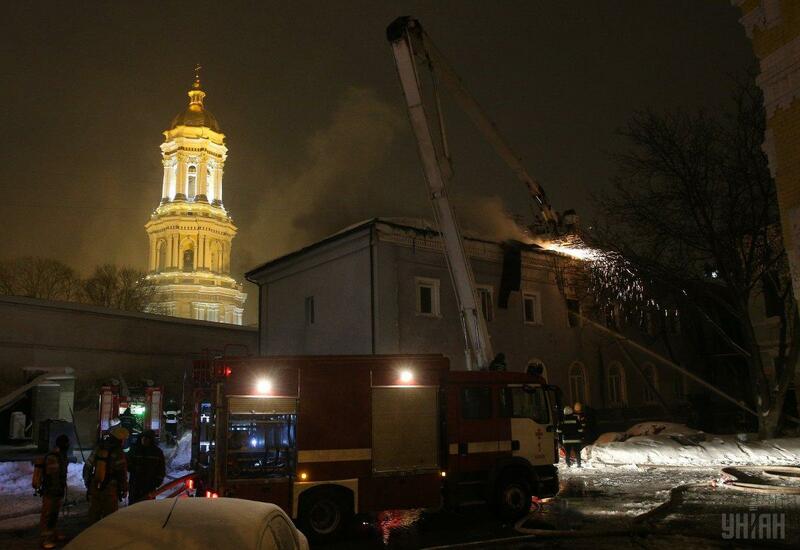 On Monday, January 14, a fire broke out at the premises of the Kyiv-Pechersk Lavra, according to the State Emergency Service's Kyiv Dept. 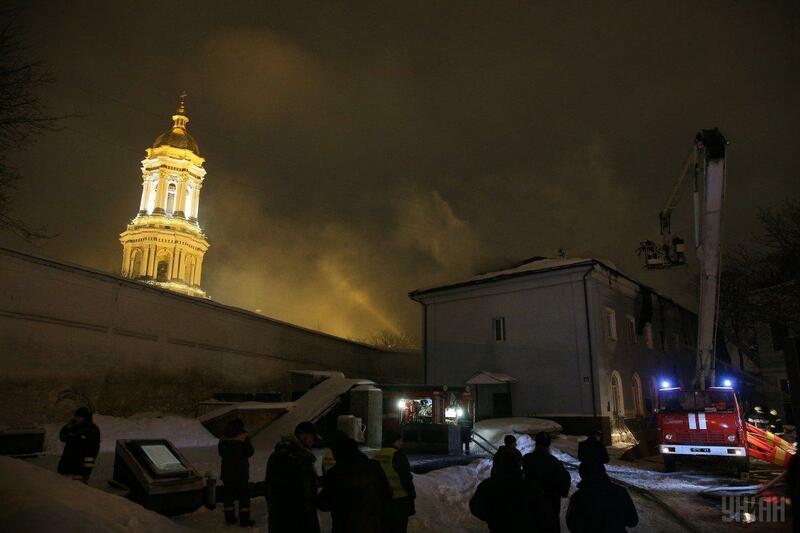 It is the building belonging to the Lavra's monastery complex that was on fire, according to Svitlana Vodolaha, a spokesperson for the agency. 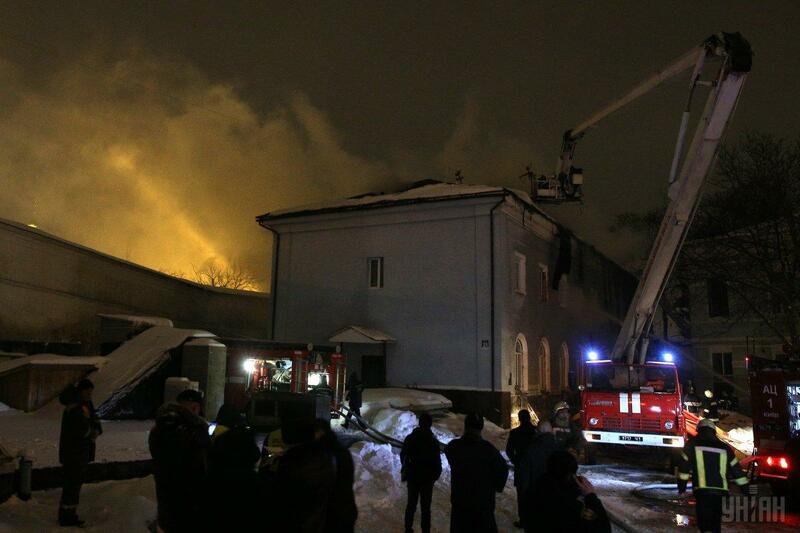 “The non-operating two-storey building, which is scheduled for reconstruction, is on fire. 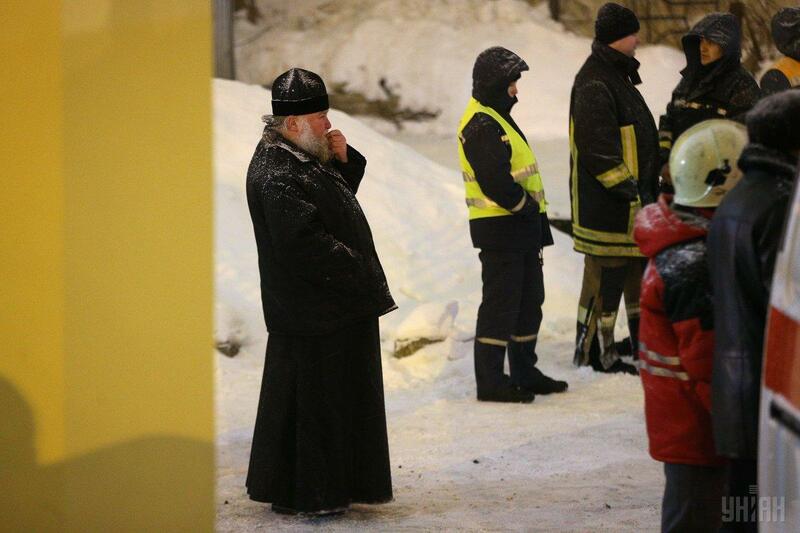 It is not on the territory of the monastery. 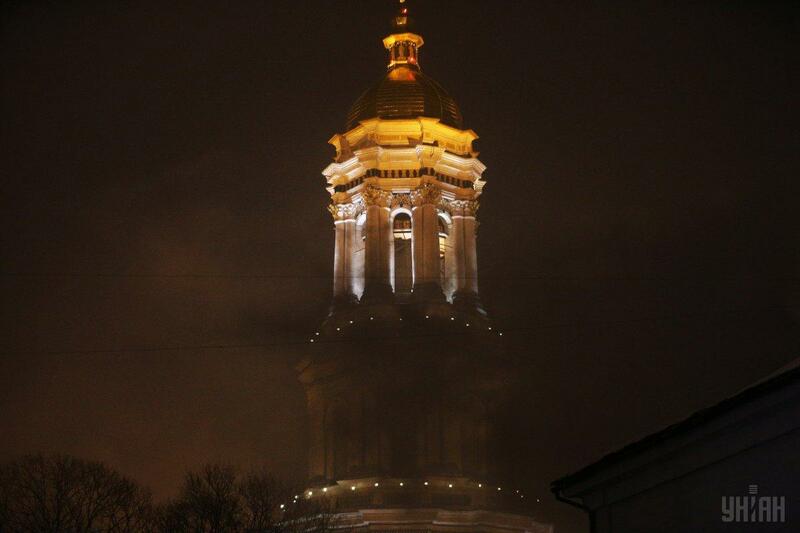 It's located nearby and included in the architectural complex. 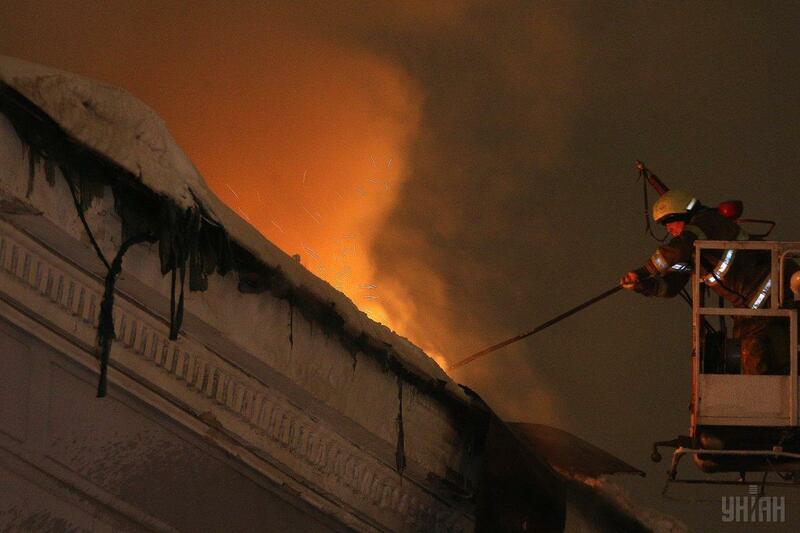 The roof of the building is on fire,” she said. 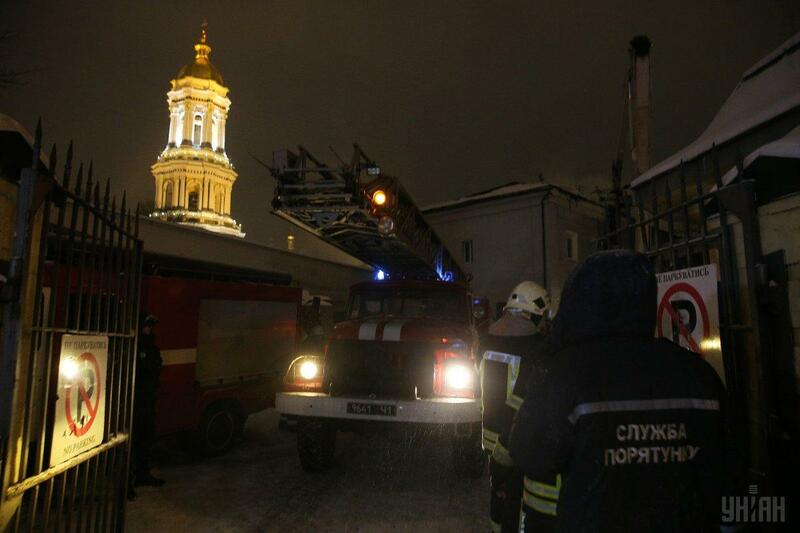 As reported on the agency website, today at 16:17, the 101 emergency hotline operator received a report that a building was burning on 23 Lavrska Street. 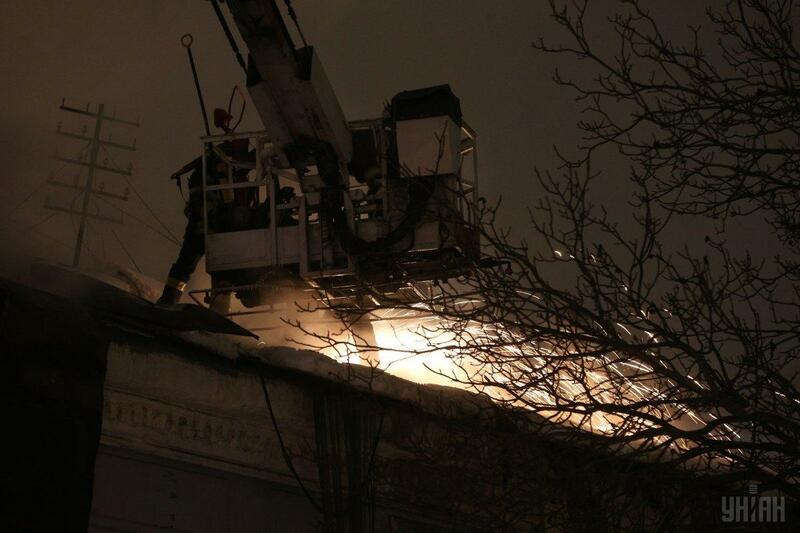 According to preliminary data, the fire broke out in one of the rooms on the second floor and subsequently spread onto the roof. 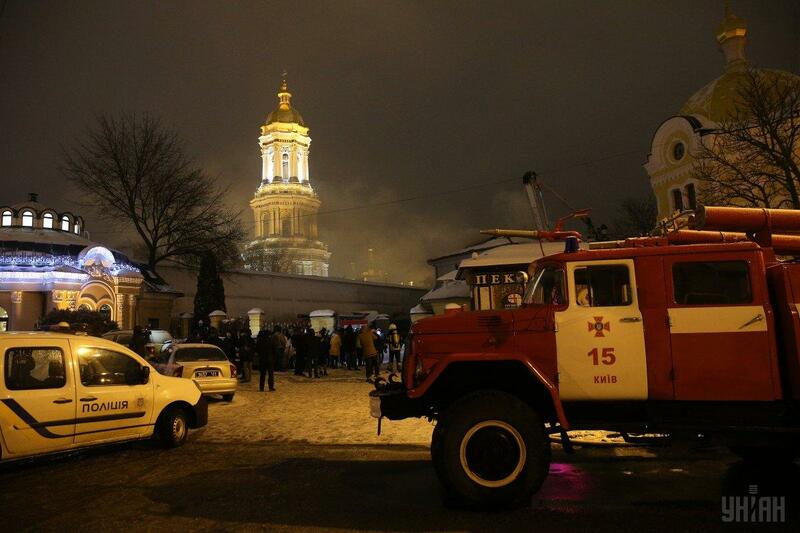 "Forty-four firefighters have been deployed at the scene. 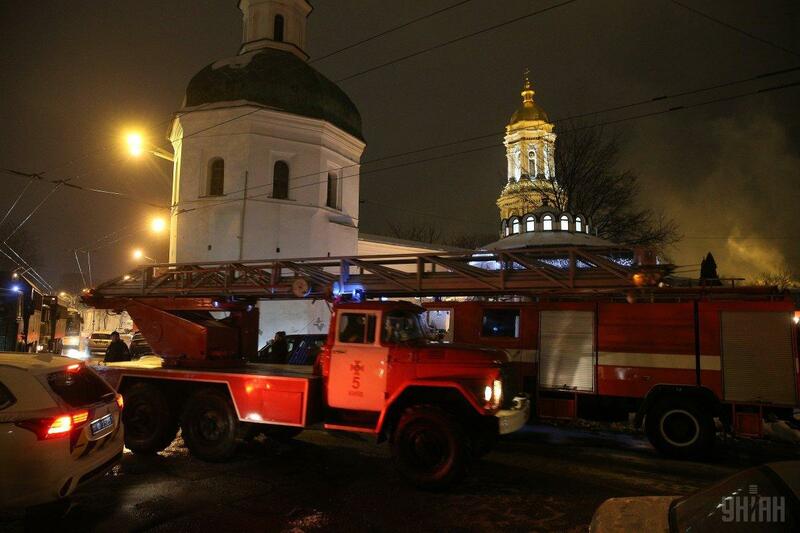 Eleven fire trucks are involved in 11 putting out the fire,” the statement said. 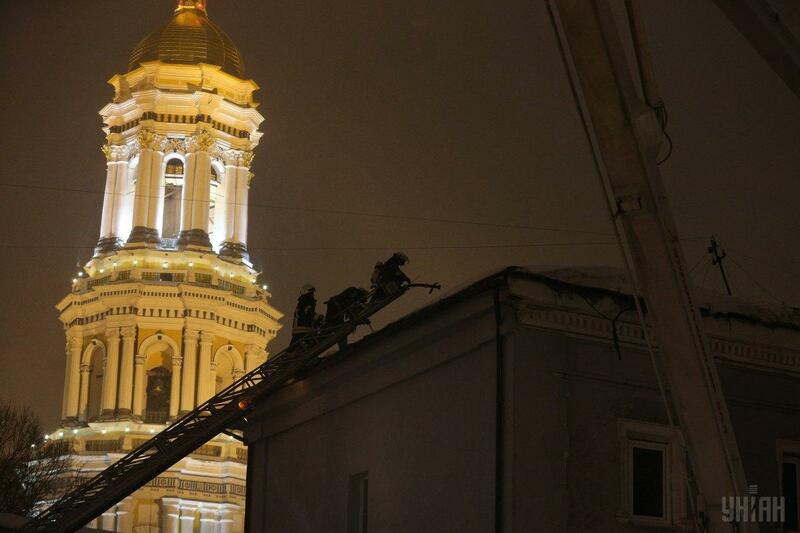 "As of 17:30, the personnel involved in extinguishing the fire, has been ordered to step back to a safe distance from the building, due to the threat of a collapse threat. 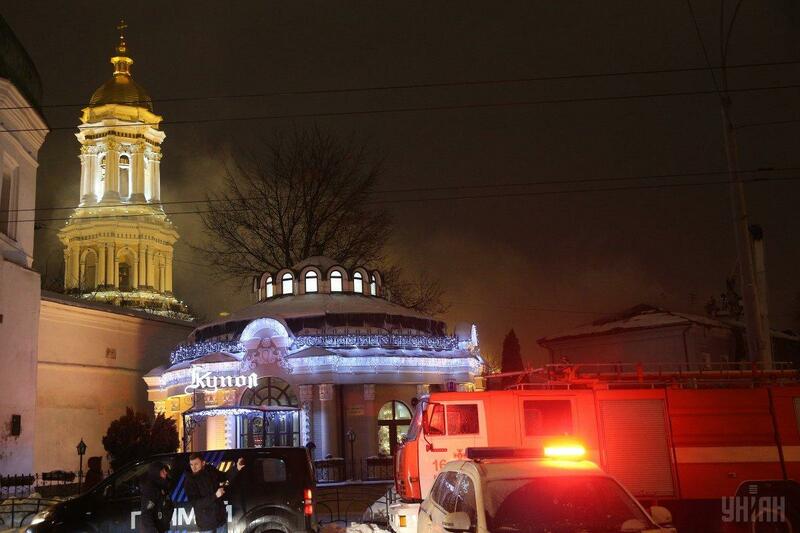 The extinguishing efforts continue from the outside," read the statement. 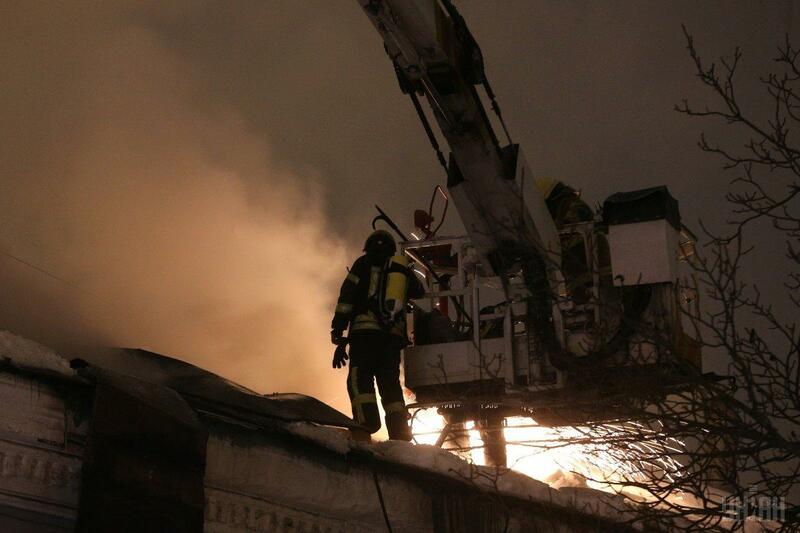 Update: As of 19:11, the fire has been contained within a 400 sq m perimeter. 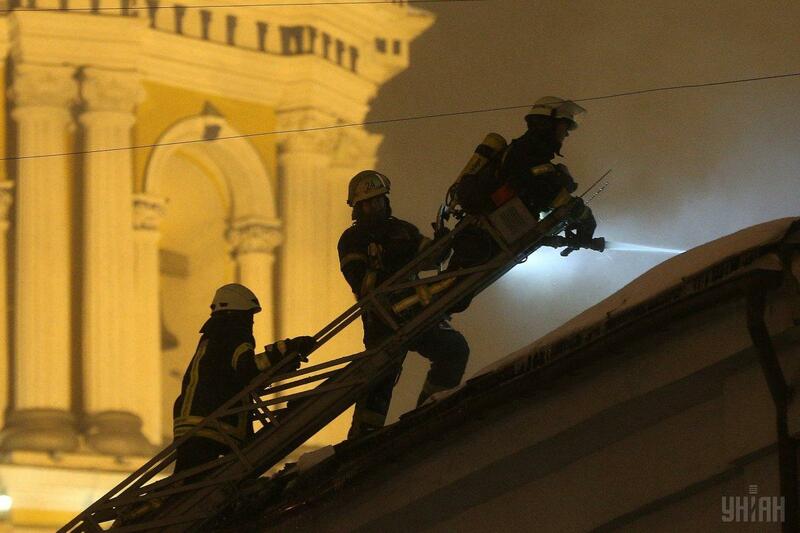 At 20:07, the fire was put out.